Pacific Elite Hockey School (PEHS) over its ten years of training more than 12,000 players from the most prestigious of Hockey Programs in the province and elsewhere is proud of its reputation and respect it has and receives from coaches, parents and players throughout British Columbia, Canada,the United States, Europe and China, where we have run full week training sessions twice a year for over 400 aspiring young Chinese athletes from all levels of their National Programs. Our mission of providing hockey in the great traditions of our National game drives us to teach and guide players through whatever opportunities hockey may provide. Players Owen Seidel and Goalie Tyler Shugrue have recently been drafted by WHL Teams and many other past athletes of the Pacific Elite Hockey School including Tyler Sandhu, Joe Hicketts, Jake Virtanen, Brayden Low, Shaun Dosanjh, Austin Adamson, Josh Thrower, Brent McDonald, Nick Rasovic and Jackson Cressey as well as others have played or are currently playing Junior A hockey in Western Canada. Other graduates are Playing Junior B or Major Midget Hockey in the Lower Mainland. Over these last ten years players from Burnaby Winter Club, Burnaby Minor, Langley Minor, New Westminster Hockey, North Delta Hockey, North Shore Winter Club, Richmond Minor Hockey, Richmond Ravens Female Hockey, Seafair Minor Hockey, Surrey Minor Hockey Assn., Semiahmoo Minor Hockey and over 1000 players from Vancouver Minor and Vancouver T-Birds Hockey Associations as well as players from the various hockey associations on Vancouver Island Associations. Pacific Elite Hockey School (PEHS)over the last 7 years has trained over 700 players from Vancouver T Birds Minor Hockey Association so we decided to develop an additional Elite Power Performance School to offer a program to include the more than the 1100 players who register each year with the T-Birds. Our first year we registered 11 T-Bird players and this year more than 100 will enrol to participate. Since we started our Elite Power Performance Program in Vancouver, many players from the Vancouver Minor Hockey Association have signed up for Pacific Elite Hockey School (PEHS) programs to learn hockey from Head Coach Glenn Wheeler and his associates. Power Skating, Stick Skills, Game playing and competing, taught in a way that is informative and enjoyable. Players find the school a perfect way to get ready for upcoming Fall tryouts and evaluations. 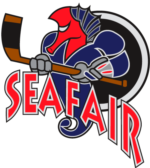 In the year 2004 Coach Glenn was continuing to be instrumental in the ongoing growth of the Seafair Islanders organization and their players were many of the original signees to the Pacific Elite Hockey School. Because of the reputation and coaching they received from Coach Glenn and his associate coaches more than 1000 Seafair players have attended our school and will continue to attend because of the excellence of our programs. 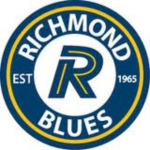 Richmond Blues or Richmond Ravens (the female hockey program), are both first class hockey associations with over one thousand registrants each year at PEHS. Parents from both organizations are thrilled to see the incredible development in their players after attending the Pacific Elite Hockey School, and how this transfers to the results achieved by each player and by their various teams performances throughout the season. 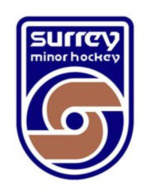 Over the years hundreds of players from Surrey, Semiahoo, and Langley Minor Hockey have experienced the outstanding hockey training they got from attending one of our schools. Parents and players alike have found the school the most dynamic hockey development ever and more and more players are joining in the activities year after year. 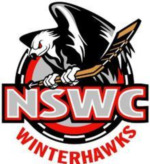 To the immediate East of Vancouver, players from Burnaby Winter Club, Burnaby Minor, Coquitlam Minor, Hollyburn and New Westminster have found the drive to Richmond or Vancouver a hugely worthwhile trip in order to attend one of our camps. Players from the elite Hollyburn Huskies and North Shore Winter Club programs have found value in the training at PEHS summer camps.